Congratulations and thank you for your interest in Telluride for your wedding! Someone from our team will be in contact shortly with additional information. 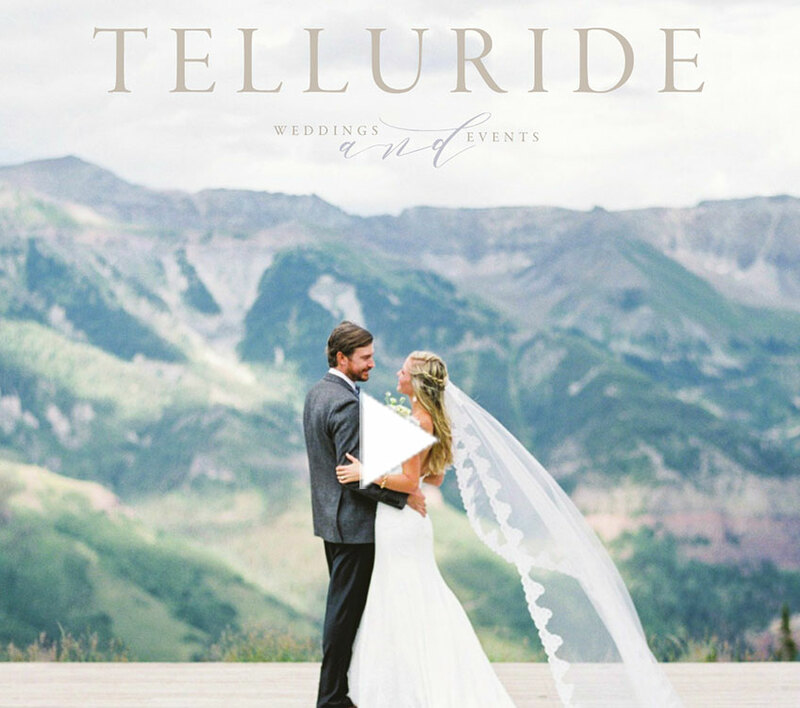 The Telluride Ski Resort is nationally and internationally recognized as the ideal mountain venue for destination weddings. Spectacular on-mountain restaurants provide the wedding party and guests with unparalleled mountain views at a variety of outdoor wedding sites, exceptional cuisine and cozy, intimate experiences. 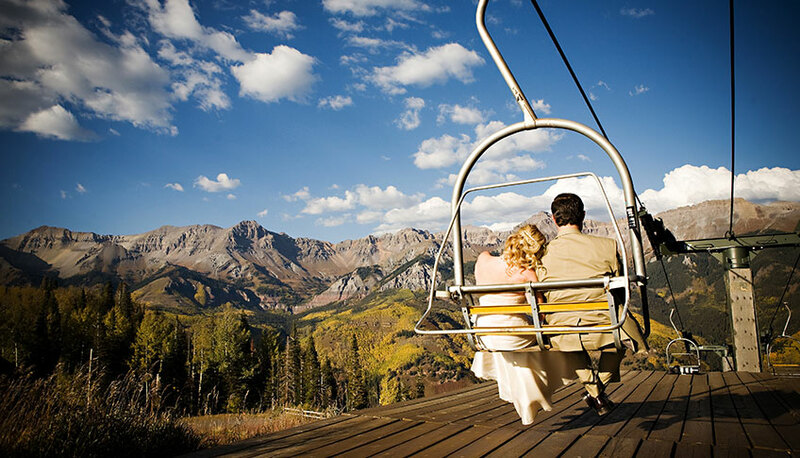 Telluride is truly the ultimate mountain wedding retreat. Stashed among the highest concentration of 14,000 foot peaks in North America, Telluride's breathtaking views are just a part of what makes Telluride stand out among mountain destinations. Historic buildings, quaint bakeries and local watering holes blend with luxury hotels, five-star restaurants, sophisticated shops and some of the finest spas in the world. Telluride's free gondola is the main source of transportation - so no traffic or long lines, and no driving once you've arrived! The friendly, open-hearted residents and genuine community spirit of Telluride shape a sense of inclusiveness and belonging that everyone can experience and enjoy. Touting the combination of awe-inspiring views, world-class terrain, Rocky Mountain snow, an easygoing town and hassle-free destination, Telluride is truly the most beautiful place to say "I do." Click here for detailed descriptions on all of our wedding venues & basic pricing information. Our Wedding & Special Events team has 20 years of combined experience fulfilling the visions our guests. We look forward to assisting you with putting together all the details of your special day, including showing you all that Telluride has to offer, finding the perfect venue, developing a menu and wine pairings with our Culinary and Sommelier team, securing your guest lodging, finding a wedding planner and vendors that will fit your personal style seamlessly. We are connected with the best regional wedding vendors from lighting designers to wedding cake bakers to fit every need or individual desire. Please contact us to get started with planning your dream wedding in Telluride. Best Wishes and we look forward to hearing from you soon! !